High Quality Polished Stainless Steel 5 Pc. 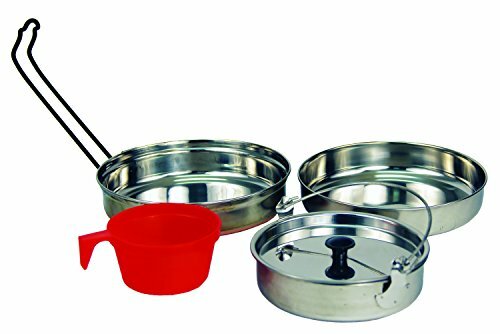 Cooking Set with Copper Bottoms that CONDUCTS HEAT QUICKLY. EASY CLEANING AND STORAGE. All pcs. Nest together in a small bundle for convenient carry.